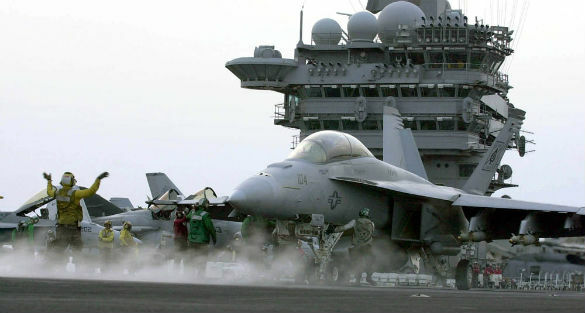 Editor’s note: This series by Robert Powell chronicles his discovery and investigation of the USS Nimitz Carrier Strike Force-11 investigation. It is a three part series. I am going to tell you about a Navy-UFO encounter that deserves a congressional investigation to determine if this happened or not. 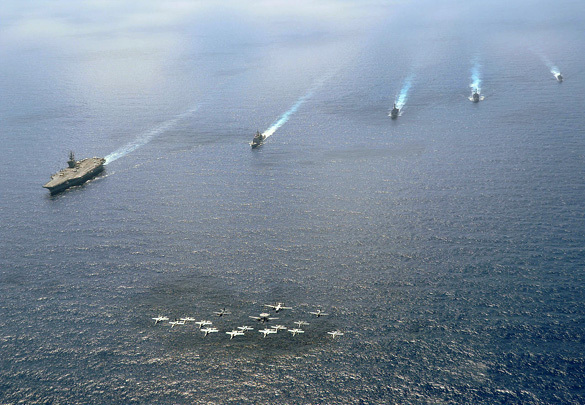 I am going to create three posts related to a recent UFO event that occurred in November of 2004 and involved the Navy’s Carrier Strike Group 11 off the southwest coast of California. This will be the first post and it will include the information that I initially obtained on the incident. If after reading these three posts you are reasonably convinced that this event happened then I will ask you to join me in a letter-writing campaign to a congressional subcommittee requesting that they ask for a debriefing of the incident from the Navy. Please share this story with anyone that you know who would be interested. You can use the hashtags: #F18UFO #UFO. What attracted me to this story was that it was not on a typical UFO site but was found on a site authored by a formal naval aviator and who predominately writes about naval aviator stories, not UFOs. So he had no UFO agenda to push. And the author went out of his way to establish the excellent background of the commanding officer of the F-18s known as the Black Aces. The story was full of “navy talk” and I spent considerable time deciphering that WSO = weapons system officer, SPY1 = phased array radar, E-2C Hawkeye = type of airborne early warning aircraft, BFM = basic fighter maneuvers, etc. Once I had read the full story, I felt that there was a strong likelihood that the event my friend had directed me to had actually occurred. I next began online investigations to verify the identity of the individuals in the story and I found that those officers were all legitimate and had served in the Navy during that time. I searched additional websites for clues to this event. First, I found a Navy Event Summary document that had been leaked to the internet by an unknown source that mentioned this event. The document had much of the same information as was provided in the naval aviator’s story: dates and locations match up; USS Princeton detects objects on radar and dispatches the F18s; F18s don’t find a radar target but detect the object visually; F18s engage the unknown; and F18s are outmatched by the unknowns. I then ran the Navy Event Summary document by a retired naval officer and he indicated that the document looked legitimate in terms of its format. A copy of this summary document can be found here. My friend who had originally told me about this case indicated that there had been video taken of the object and that it had been released to the internet several years ago and then was later removed. A copy of that video was obtained using the WayBack machine which is an internet site that maintains historical website data. The video is taken in the infra-red and depicts a hot object in the video cross-hairs for about 75 seconds before the object rapidly moves out of the video frame and towards the left. The altitude shown on the video matches the approximate altitude of the jets and the shape of the object in the video matches the pilots’ descriptions. A copy of this video can be found here. Of these three documents, the one that I find the strongest is the story by the naval aviator. The Navy Event Summary and the F-18 video support the story but more was needed. The question in my mind then became—could I support this information from another source. In December of 2016 I submitted nine FOIAs to various departments of the Navy and Marines to try and verify this event. In Part II of this series, I will share the information on the FOIAs that I submitted.